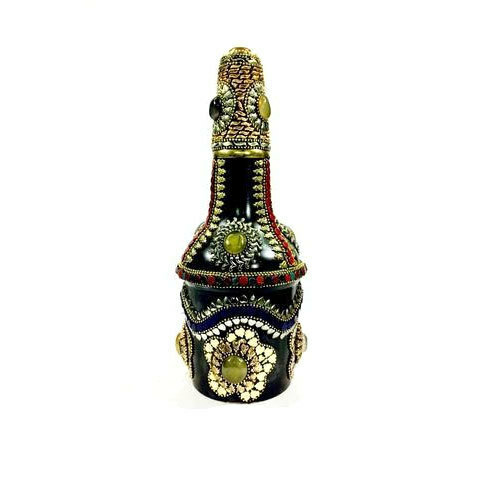 We are offering a wide range of Wine Bottle Showpiece. We, ‘Azure International’ were successfully established in the year 2016 to the wholesale trader and exporter a wide range of Wooden Box, Decorative Jug, and Glass Lantern. Our wide range of products is procured from well-known vendors of the industry. They make use of the best grade quality basic materials, coupled with advanced technology. Thus, these products are highly appreciated for their unique features such as easy installation, high speed, reliability and print & ink quality. These products have been fabricated in strict tandem with defined industry standards. Thus, these products are widely used for different commercial and residential printing purposes. With the constant support of our highly experienced and trained team of professionals, we are able to offer timely. We have developed a wide distribution network with some of the well-known agents in the industry. Thus, we are able to deliver our consignments within the stipulated time frame. With our client-friendly payment options, coupled with transparent and ethical business dealings, we have been able to gain the trust and good-will of our huge client base. Owing to these factors, we have gained a good position in the market segments.